Miss Mani Monster! : Me.LissaLaquer Swatches! I've got some fabulous swatches to show off today! Me.Lissa Lacquer is a custom, 3-free Indie polish available for purchase on Etsy. The first swatch is her Social Media collection, and it is called Abuzz. This beautiful yellow creme has subtle matte black hexes mixed in. This bumble bee yellow polish was opaque in 3 coats! The next two are from her Gatsby collection! 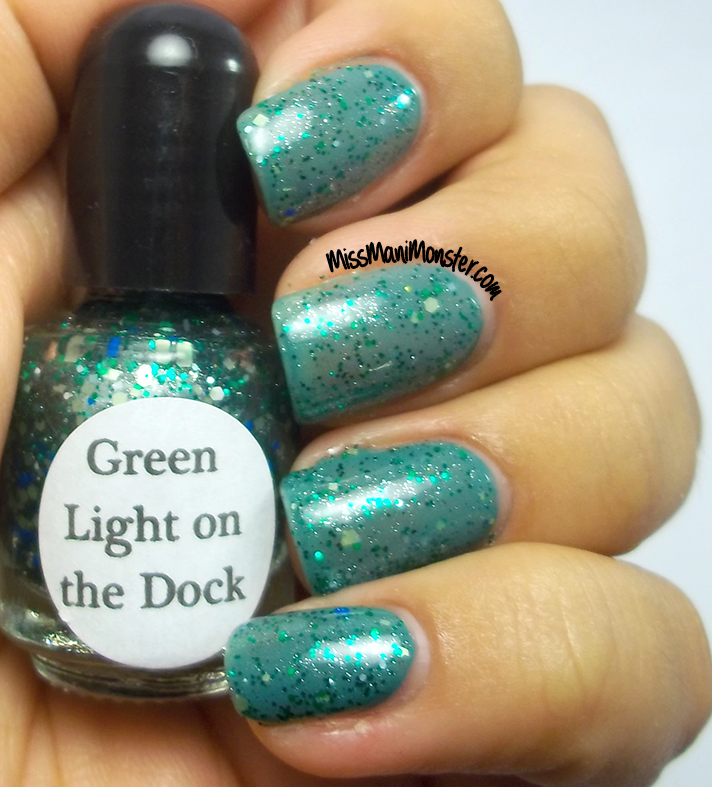 First is Green Light on the Dock, reminiscent of that fateful light on Daisy's dock! In this glitter topper, 15 different green-tinted glitters are mixed in! I layered this over Priti's Scotch Thistle. The last one is my favorite! 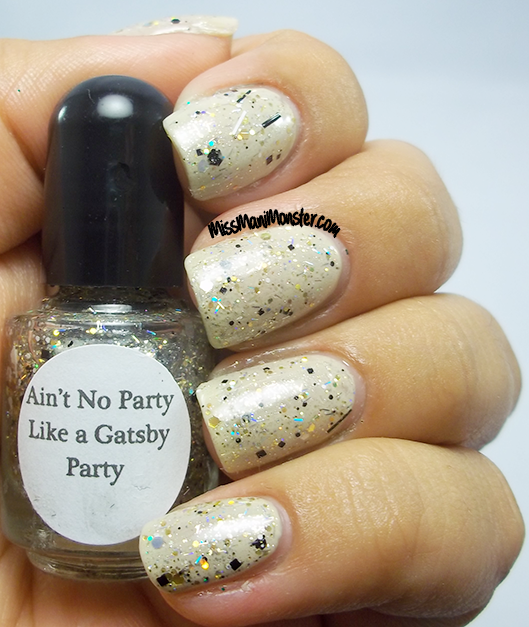 Ain't No Party Like a Gatsby Party is a flashy glitter topper, inspired by the flappers dancing at Gatsby's lavish parties. This mixture of black, white, holo, and gold glitters in all shapes and sizes reminds me so much of the colors used in the movie for Gatsby's doors! I layered this over Sally Hansen Dune! Please go visit Me.LissaLacquer on Etsy and pick up a few minis or full size lacquers of your own! !